KPFK Wed. 1/30: Could McCain Beat Hillary? Our super-Tuesday preview: polls show Hillary well ahead of Barack Obama, and McCain rising to the top among Republicans. Polls also show that voters nationally prefer McCain over Hillary right now, 46-44. We’re supposed to focus on the issues, not on the horse race; but I’m worried about the horse race: Could McCain win in November? 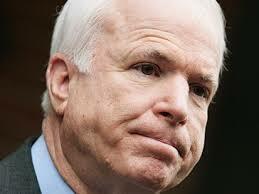 HAROLD MEYERSON will comment — he says growing economic problems will hurt McCains chances. Harold is executive editor of The American Prospect and an op-ed columnist for the Washington Post. Also: When Hamas blew open Gazas border fence with Egypt last week, they struck a decisive blow against Israeli policy, and Bush White House policy, which held that forcing the Palestians to suffer food and power shortages would turn them against Hamas. AMY WILENTZ will comment; she was Jerusalem correspondent for the New Yorker, and is a contributing editor of The Nation. She also wrote an award-winning novel about Palestinians and Israelis: Martyr’s Crossing. Plus: The civil rights movement of the 1950s and 1960s followed in the wake of a broad, raucous, communist movement that flourished from the 1920s through the 1940s. These home-grown radicals, labor activists, newspaper editors, and intellectuals employed every strategy imaginable to take Dixie down. Thats what GLENDA GILMORE says  her new book is Defying Dixie: The Radical Roots of Civil Rights, 19191950. Glenda teaches history at Yale.